Today, we take a look at SAP Display Transactions (e.g. 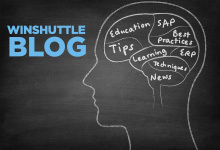 FBL1N, FBL3N, and FBL5N) and ask the question that tends to come up which is “How does Winshuttle help streamline and improve SAP “Display Transaction’s - how does this improve productivity of my SAP users? 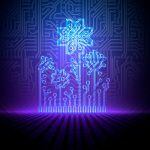 A common use case with FBL3N might deal with a document dispute or inquiry of some sort which includes researching a document for a given customer or vendor, identifying it and then editing/saving it. Many Winshuttle customers incorporate the view – edit approach to this transaction and therefore it makes for a great candidate to automate with Winshuttle. Plus it is super awesome to be able to do 100’s if not 1,000’s of FLB1/3/5N transactions with one simple spreadsheet update. Please note the following FBL3N screens for an example of how one has to process through a number of fields, screens to do this task - then check out the simplicity of the Excel spreadsheet example. The key figure is the minimum time savings associated with this transaction of 93 seconds… this is the LEAST amount of time saved – we do this so we can be as conservative as possible in making these projections based on actual customer usage.